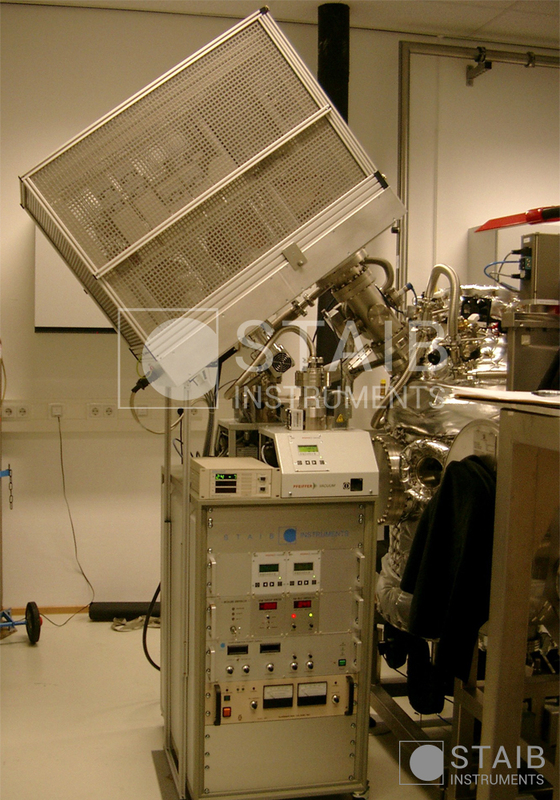 High energy proton sources manufactured by STAIB Instruments are compact, light weight, high performance instruments. The electron source power is equipped with an optional computer connection plug for analog control signals. The control voltages can either be provided by 3rd party software through a suitable DAC interface, or by the STAIB computer control module. The electron source system can either be operated using the manual control dials, or by using the optional computer control. The computer control option provides the cables, and microprocessor interface to connect to the computer control plug. The STAIB software sends the input signals to the power supply to control the various system functions. Full parameter sets can be stored, modified, and reused. The advanced version of the STAIB source controller can retrieve and copy the adjusted values from the manual control dials, providing the user with a to date unknown ease of use. The option runs under the WindowsTM XP, WindowsTM 7, WindowsTM 10 operating system, using a USB connection.